The proposed Orbital Road consists of the collective East-West Link (Ocean Drive to Oxley Highway), the North-South Link (Oxley Highway to Boundary Street) and the flood-free Primary Airport Access Road. It is a new approach to improving the road network in and around Port Macquarie. It will improve connectivity to key destinations including the Health and Education Precinct, the Airport and the Regional Sports Stadium and alleviate traffic congestion. The most viable route has been identified from an engineering perspective, however as the project is in the very early stages of development, the approval process is yet to begin and the final route is yet to be determined. Comprehensive technical and environmental investigations will be required before the final route is confirmed. Council is committed to engaging with our community on this important project so we can make the best possible decisions based on the interests and concerns of our community. Over the past months we have invited feedback from the community via a range of methods including submissions, surveys, meetings and information sessions. The initial consultation period for the Orbital Road project has now concluded. All submissions, surveys and feedback received to date will now be collated and analysed for inclusion in an engagement report which will be presented to Council in June, for a decision to determine the next stage of the project. or reference the document library to the right (or below if on a mobile device). This week the Mayor’s Message informs that the submission period has closed. The feedback and submissions will now be collated and analysed. A report will be presented to the Council in June 2019. This week the Mayor’s Message encourages everyone to share their thoughts on the project before submissions close by Saturday 30 March 2019. We encourage you to complete the survey or lodge a submission directly through the surveys available under the SHARE YOUR THOUGHTS tab. Hard copies of the survey and submission form will also be available at our pop-up stands. Submissions will be received until 30 March 2019. 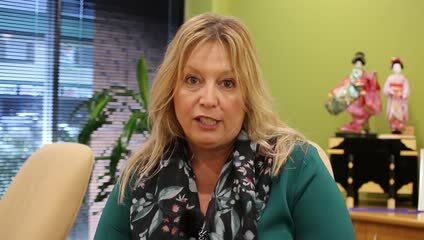 This week the Deputy Mayor’s Message provides an update on the proposed Orbital Road and encourages everyone to come along to our drop-in sessions and to complete the survey until 30 March 2019. 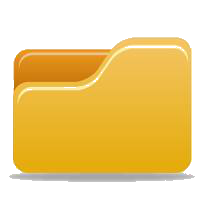 The documents are now available in the Document Library to the right (or below if on a mobile device). In response to feedback received from the community Council has developed an updated Frequently Asked Questions information sheet and a project brochure. The documents have been delivered to residents in the investigation area and can be downloaded from the Document Library (to the right). Council encourages you to continue to provide feedback on the project. We will be in touch early in the New Year to provide more information on the next steps in the engagement process. This week the Mayor’s Message talks to the proposed Orbital Road. Council thanks all community members who have provided feedback on the project to date. In addition to collating and reviewing this feedback, staff have been meeting with residents within the proposed Orbital Road investigation area over the past two weeks. We have also received a range of questions from the community about the proposed Road. We are working hard to provide residents with further information on the project in response to some of the matters being raised. In particular, more detail around how we got to this point in identifying the investigation area and also what the process and time frames are from here. We will have an updated Frequently Asked Questions information sheet available over the coming days which will be posted on this site and delivered to residents within the investigation area. In the meantime, please view the video message from Mayor Peta Pinson – to the right of this message (or below if on a mobile device).